Through the recently announced partnership between the World Poker Tour and playMGMPoker, New Jersey players have the unique opportunity to satellite online into one of the most esteemed live tournaments in any given year – the World Poker Tour Bellagio Five Diamond World Poker Classic Main Event. For the first time, New Jersey residents can qualify for the major Las Vegas tournament by winning a $12,000 package that includes an entry into the $10,400 Main Event, $1,600 in cash to help cover travel and accommodations, and the first-night-free stay at one of the flagship MGM properties, the Bellagio Hotel & Casino. Whether you are a deep-pocketed shot taker or a value-seeking grinder there are a number of ways for playMGMpoker players to earn their shot at what will likely be the seven-figure first place prize at the WPT Five Diamond. It all starts for as little as $10. Looking to work your way to the top? playMGMPoker is running $10 Daily Qualifiers into the $55 Bellagio Qualifier. The first step starts every day at 5:40pm and 8:40pm ET where the $10 tournament guarantees at least two entries into the $55 step. Roughly one out of roughly every six entries into the $10 starter tournament will win entry into the $55 Bellagio Qualifier. 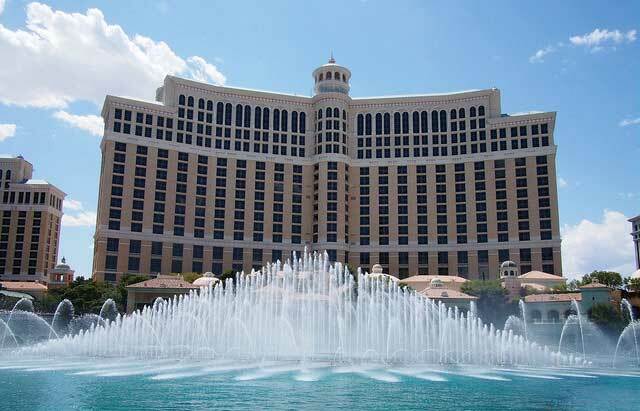 The $55 Bellagio Qualifier is also running every day. At 7:20pm ET, players compete to win their way into main $535 Bellagio Super Satellite to WPT Bellagio Five Diamond. With at least one seat to the main satellite guaranteed, approximately one out of every 11 participants will gain entry and get their shot at the $12,000 package. In addition to the daily $55, there is a once-a-week Turbo Qualifier taking place on Sundays at 5:20pm. The turbo takes place right before the $535 Super Satellite is set to begin. Roughy one out of every 24 will pick up a $12,000 package, escape the New Jersey winter and be on their way to sunny Las Vegas for the Main Event. Whether it’s daily qualifiers or buying directly into the Super Satellite, playMGMPoker has a path for those looking to make their dreams of playing the WPT Five Diamond a reality.